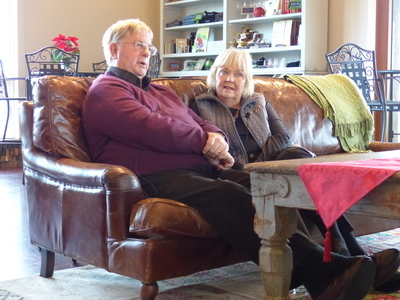 Don and Carolyn Byard are photographed during an oral history interview at Brooks Winery & Tasting Room in Amity, Oregon on December 11, 2015. The Byards were interviewed by staff from the Linfield College Archives. Don Byard, along with his wife Carolyn, owned Eola Hills Vineyard and co-owned Hidden Springs Winery. 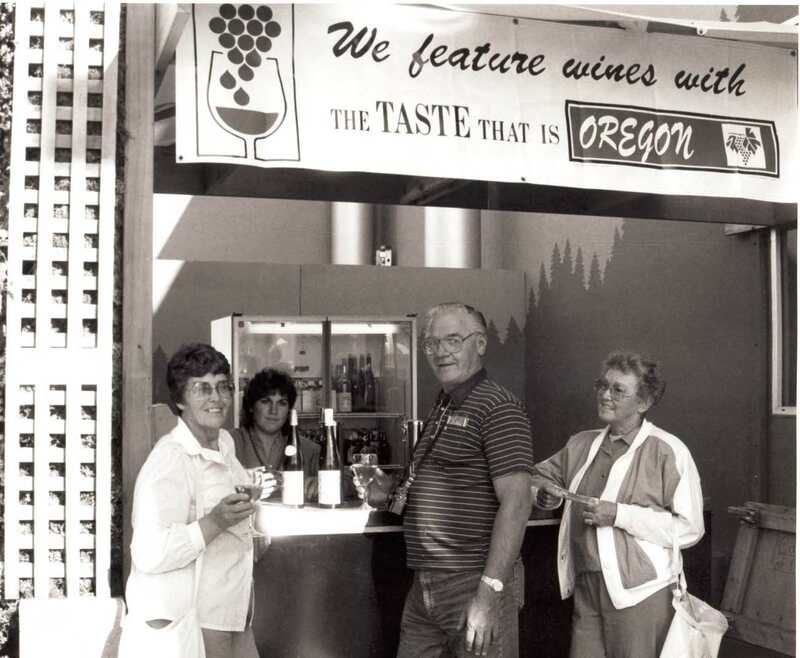 When the Byards originally came to Oregon, they weren’t looking to buy land and grow grapes but, in 1973, Don eventually found a plot of 20 acres that was similar to what he had seen in Germany. In 1980, alongside Al Alexanderson, Hidden Springs Winery was started; the Byards sold it in 1993, and in 1998 it was renamed Brooks Winery under the leadership of Jimi Brooks. Linfield College Archives, "Don and Carolyn Byard Interview 04" (2015). Browse All Willamette Valley Oral History Interview Photos. Image. Submission 88.